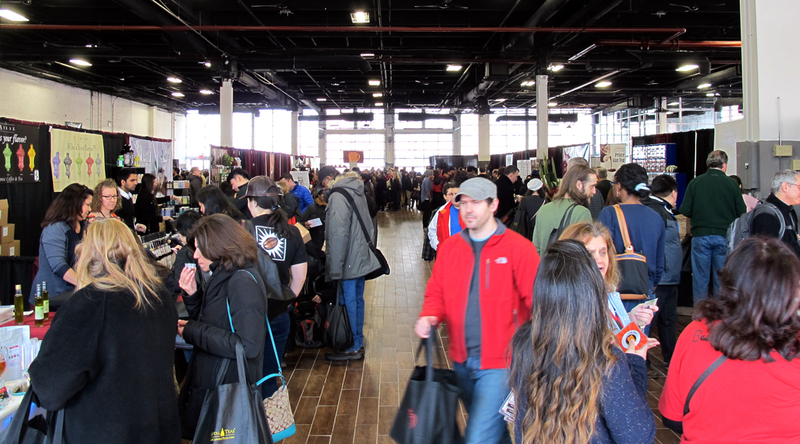 Today was the first day of the Coffee and Tea Festival, a meeting place for vendors, brewers, roasters, and enthusiasts for the caffeinated beverages we all know and love. 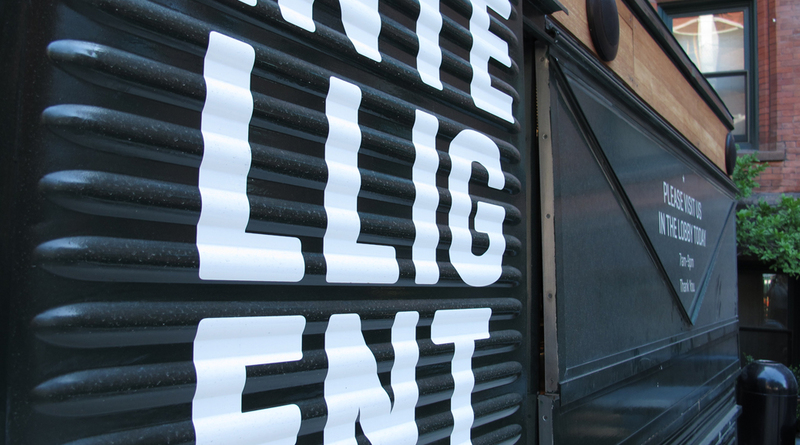 This is actually the tenth year this event has taken place in New York, and I’ve had the pleasure of watching it grow and evolve from tiny conclave of local roasters to a hyper-stimulating survey of every facet of the field. The festival also moved into the Brooklyn Expo Center, a major step up from its previous homes in the 69th Regiment Armory and 7 West 34th Street Venue in Midtown Manhattan, which was consistently plagued with electrical and water demand issues as the festival grew incrementally larger each year. One massive caffeine high (and crash) later, it’s nice to take a minute to reflect on some of the great coffee (and tea) talent that’s out there. While there has been a steady influx of larger commercial entities in the more recent years that has somewhat diluted the intimate nature of the original few festivals, there is a lot of creativity taking place in the area that extends beyond the tea and coffee products that one normally thinks of. Taste Artisinal Market, based out of West Chester, Pennsylvania, brought a variety of wonderful honey infusions, ranging from a super bright lemon walnut (above) to a more floral lavender, to a surprisingly strong red chili. Each jar has the sources of their infusion actually hanging out inside – a great presentation along with great flavor. Wandering Bear Coffee Company, a local supplier of cold brew coffee to FreshDirect and small businesses, brought their extremely strong, deeply roasted wares to the table. Subverting the preconception that cold brews are subtler in flavor, even small samples punch you in the face (in a good way, if that’s possible) with smoky, earthy notes without a ton of acidity. Dona Chai‘s concentrated chai was incredibly flavorful, with very strong elements of cloves, vanilla, and ginger. Sold in elegant brown glass bottles, the samples being given out were mixed with almond milk and showcased those features beautifully. Unfortunately, they were sold out pretty quickly – I suppose that just encourages me to make some more impulsive purchases when I see a great product! That’s not to say that there wasn’t a presence of coffee roasters around. 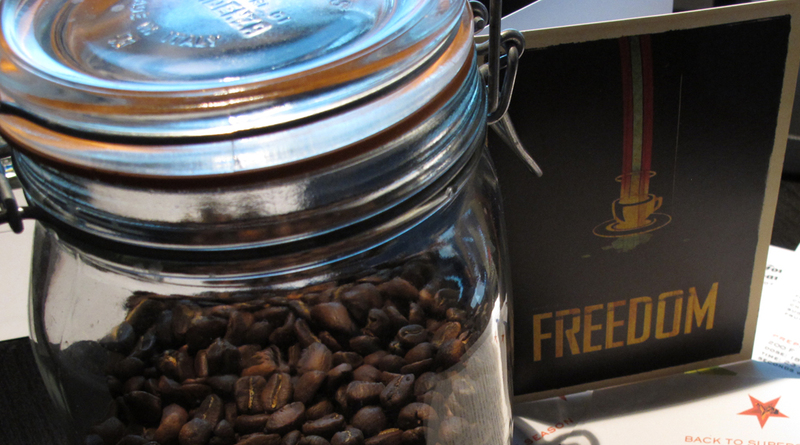 Queens-based newcomer Jailhouse Coffee brought a nicely fruity single-origin Sumatran brew. I hope to see more of them in the future – they’ve got a clever aesthetic and a lot of enthusiasm backing them up right now. Toby’s Estate and Café Grumpy represented the established guard of boutique espresso stores in New York, taking on the extremely ambitious task of making any espresso based drink to order for free. Needless to say, these guys were swamped pretty much all day, but I can only imagine the kind of good publicity that kind of giveaway would entail! Of course, both these places have extremely high quality wares, so their products only need speak for themselves to enable one free sample to sell many, many more in the future. All in all, this year’s festival left me feeling very impressed. I love how even through the absolute bedlam that ensued once everyone was inside, there was that same energy and passion that resonates in the best espresso places, where people can just express and share their enthusiasm for coffee and tea with one another. Or you know, maybe it’s just the caffeine. That’s fine too. Joe Woo is currently an Assistant Professor in the Department of Chemical and Biomolecular Engineering at Lafayette College, located in Easton, Pennsylvania. 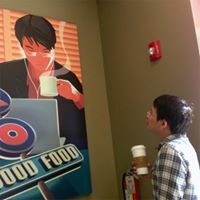 While is research focuses on atmospheric chemistry, he strives to connect science and engineering to the wonders of coffee and food as much as he can.